Remember how the Segway revolutionized personal transportation? Neither do we, but this Tilto single-person electric vehicle is really gonna go places. Like, around the parking lot — “manos libres!” Named for the two-step maneuver you’ll use to get going (tilt and go), the battery-powered Tilto can move forward, backwards, and sideways at its top speed of 20km/h (12 mph) without the need for pedals or a steering wheel. You’ll be able to travel 15 km with each charge, but that should give you plenty of time to score a traffic ticket in the UK, or to roll a safe distance away from screaming fans after your next concert in Arizona. Tilto is little more than a “prototipo experimental” at this point, without a release date or any plans for production, but roll past the break to see how it works. 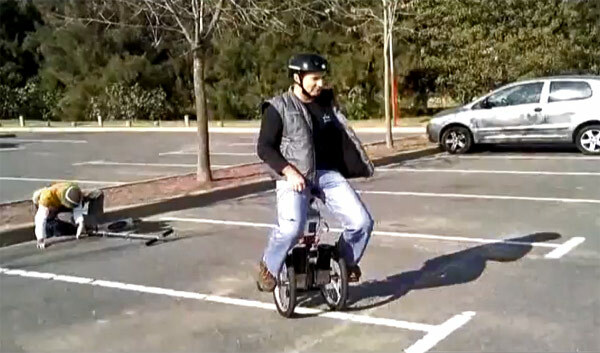 Tilto personal transporter looks like seated Segway, does donuts in Argentine parking lot originally appeared on Engadget on Thu, 16 Jun 2011 17:42:00 EDT. Please see our terms for use of feeds. Folks in NYC may have been able to get their hands on one a bit early (not to mention those that attended Google I/O), but everyone else will finally be able to pick up a Samsung Galaxy Tab 10.1 starting tomorrow. As expected, the WiFi-only Honeycomb tablet will run $499 for the 16GB model and $599 for 32GB at your choice of retailers, and Samsung says it will be available through Sprint in “mid-summer” as well (still just WiFi-only). 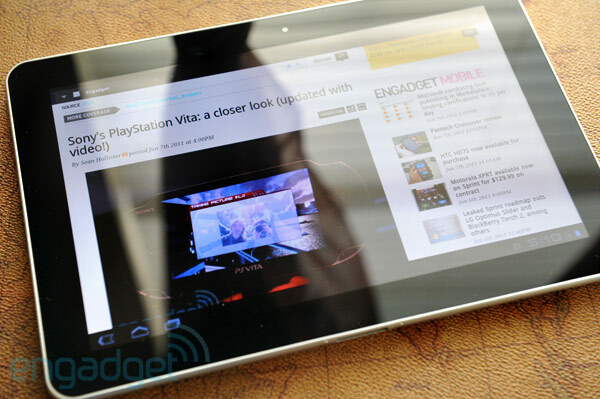 What’s more, Samsung’s also promising to deliver a number of new features in a “future software upgrade,” including the TouchWiz UX that was originally intended to be included on the tablet, and Samsung’s Media Hub, which promises “easier downloads of rented or purchased content” and additional capabilities when the tablet’s connected to a TV via a dock or adapter. Head on past the break for the complete press release and a new promo video that offers a glimpse of some of those upcoming features, and don’t forgot to check out our full review if you’re still undecided. Samsung Galaxy Tab 10.1 hits US retailers tomorrow, TouchWiz UX coming in future software upgrade originally appeared on Engadget on Thu, 16 Jun 2011 17:23:00 EDT. Please see our terms for use of feeds. We already know to expect Toyota’s Entune infotainment system in the dash of the 2012 Prius, but the hybrid’s monster EV batteries will be powering much more than a touchscreen and apps. According to ConsumerSearch, next year’s plug-in vehicle will include two new features aimed at improving the car’s electric-only range for local driving, especially when your commute also includes a trip down the freeway. 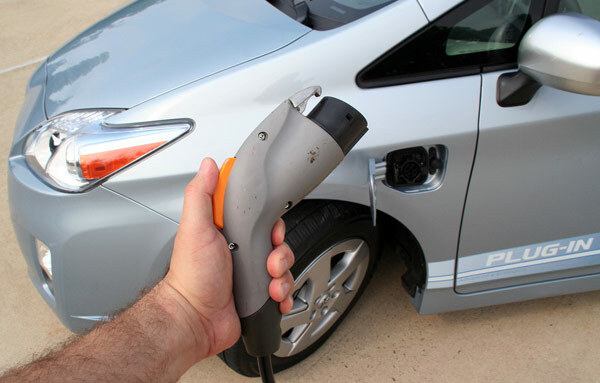 The first improvement comes in the form of an EV mode button, allowing you to turn off EV for highway driving, which tends to drain those batts faster than a Thunderbolt in Hotspot mode. The Prius will also offer full battery regeneration, so power-off activities like braking and driving downhill will restore the hybrid’s EV-only range — especially helpful if you live in a hilly area or tend to make frequent stops. Both new features should have a fairly significant impact on efficiency, so you’ll soon be able to drive further in the city without tapping a single drop of crude. 2012 plug-in Prius to include selectable EV mode, full battery regeneration originally appeared on Engadget on Thu, 16 Jun 2011 17:02:00 EDT. Please see our terms for use of feeds. This entry was posted on June 16, 2011, 6:06 pm and is filed under Mobility. You can follow any responses to this entry through RSS 2.0. Both comments and pings are currently closed.